A7, A7S, A7R and other ALPHA series cameras. PXW-X and PXW-Z series cameras. Correct Exposure with Cinegammas and Hypergammas. Picture Profiles – Crispening _ How to clean up your image. 2017 Northern Lights Tours Photo’s. Aliasing and Moiré. What is it and what can be done about it? CamRade WS PMW F3 Rain Cover Review. DSM-U84 Battery for PMW-200, EX1, F3 etc. Miller Solo Tripod and Compass 15 head review. Sonnet QIO Review. Very, Very, Fast Offloads. Sonnet SDHC to SxS Camera Adapter. Today3D FIZ controller. Focus, Zoom, Iris, Interaxial. Transvideo PMW-F3 replacement base assembly. Triad PL to E-Mount adapter. Wifeng WF717 Tripod. Cheap, but not nasty tripod. Zunow SWV-E11 11-16mm E-Mount F2.8 Zoom Lens. Alister’s Equipment Reviews A to Z.
JVC-HM650 Review. The Camera for news and journalists? Alphatron EVF-035W Viewfinder Video Review. Cineroid HDSDI EVF (EVF-4MSS) review. TV Logic VFM-058W compact 1920 x 1080 video monitor. January 24th Solar Storm Aurora Pictures and Video. Using LUT’s on set and in DaVinci Resolve with the PMW-F5/F55/F3 and FS700. Guides and Info for A7s. 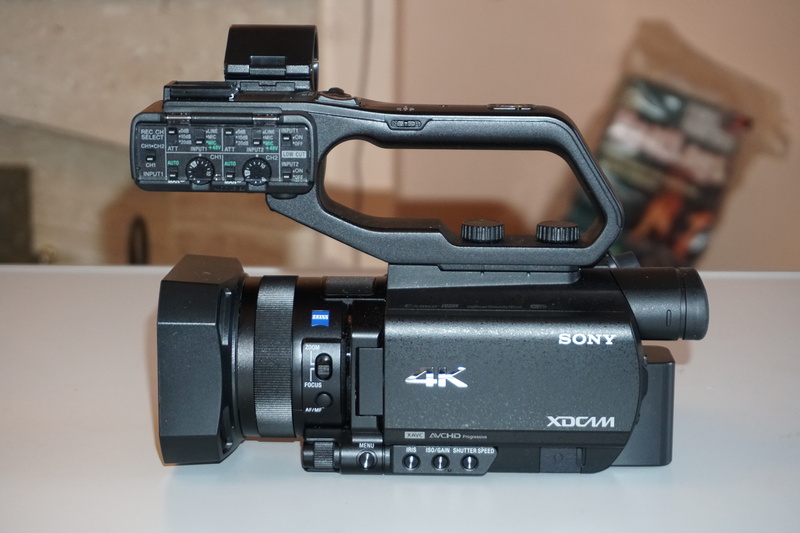 February 20, 2018 6000 × 4000 The Sony PXW-Z90 – a compact 4K camcorder with auto focus at it’s best! The Sony PXW-Z90 compact 4K camcorder. Camera setup, reviews, tutorials and information for pro camcorder users from Alister Chapman. Find me on social media. New Atomos Shogun 7 with Dolby Vision Out and 15 stop screen. Shooting Anamorphic with the Fujinon MK’s and SLR Magic 65 Anamorphot. Sony’s Internal Recording Levels Are Correct. Tom on PXW-FS5 II Secret Sauce and Venice Colour Science. Tom Roper on Noise, ISO, Gain, S-Log2 v S-Log3 and exposure. Most Viewed Posts And Pages. New Venice Look LUT's Version 3. Includes minus green LUTs. For FS5, FS7, F55, A7S, A7R. Exposing and Using S-Log2 on the Sony A7s (or any other Alpha camera). Part One: Gamma and Exposure. Venice Look LUT's For 14 stop cameras A7, FS5, FS7, F5, F55 etc.